Photo by Flickr user Garrett Ziegler. Go for the injera and coffee ceremony. This Saturday and Sunday, the Mutual Assistance Association for Ethiopian Community will hold the 16th annual Ethiopia Day at Plano Centre. The cultural festival, which runs from noon till 1 a.m., features apparel, music, books, and other souvenirs for sale, historical and cultural artifacts and activities, and live music. Follow the smell of coffee. Several years ago, the association introduced Taste of Ethiopia, which showcases the country’s cuisine, known for beautiful, colorful vegetarian combo platters where brightly colored dollops of wonderfully stewed dishes are served over spongy injera, a sourdough crepe made of teff flour. Just thinking about it makes my mouth water. The iconic doro wat—chicken simmered in a garlic, ginger, and berbere spice sauce with hard-boiled eggs—is delicious. Beef tibs, almost as well known, is equally spiced and stewy. You can try all three this weekend. 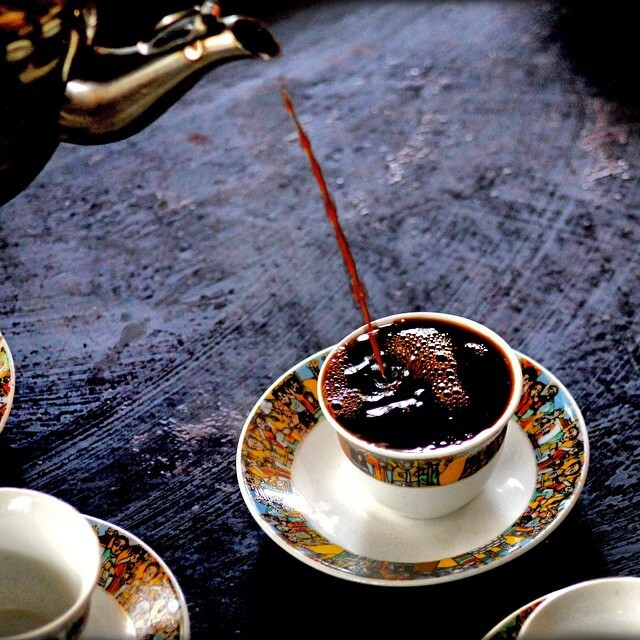 And participate in a coffee ceremony, the ritual that swirls around one of the most common gestures of hospitality in this country that’s the birthplace of coffee. Yes, there is an Ethiopian presence in Dallas and a number of restaurants serving excellent food. If nothing else, what you may take away from the event is the fact that you’re probably not eating enough of this nation’s cuisine. $20 for entrance to Ethiopia Day. $25 for Taste of Ethiopia, which includes admission plus food sampling and participation in the coffee ceremony. Food sampling, catered by Bukri’s Taste of Ethiopia Bakery and Café this year, will include an introduction to doro wat, beef in a mild sauce, and a veggie combo with lentils, collard greens, and peas. Photo by Flickr user Mighty Travels.